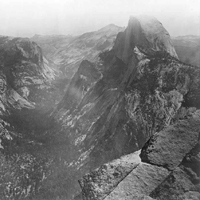 Because of the Yosemite Land Grant the incredible landscape of Yosemite, with its impressive cliffs, massive trees, and breathtaking waterfalls, has been preserved and open to the public. Have you been to a national park? Was it crowded?